Learn more about hunting bear over bait in Maine. Maine has not had a Spring Bear hunt in over 25 years. For those that had the opportunity to hunt in the spring, most will agree that it was a great hunt. Thanks to the Passamaquoddy Indian Tribe, Bulldog Camps is able to offer a Spring Bear Hunt in the Western Mountains of Maine. 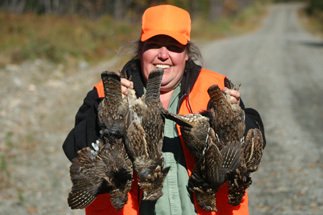 We have leases for a 40 square mile parcel of land for the exclusive Western Maine Spring Hunt. This land is in a very remote section of Maine and holds a large number of Bears. 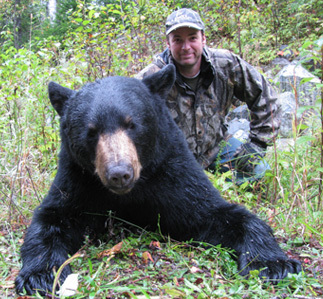 Learn more about spring bear hunt in Maine. Maine has the largest moose population in the United States. 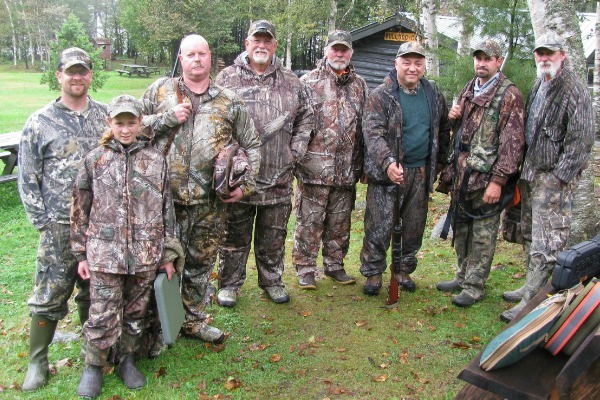 We at Bulldog Camps are lucky enough to be in one of the best hunting zones of the entire state of Maine. Zone 8 gives 175 bull only permits for the October season. Applications due May 14th. If you are fortunate enough to draw a moose permit for this zone, you are in for the hunt of a lifetime. 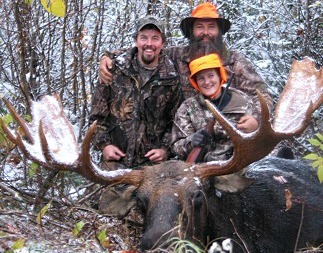 Learn more about hunting moose in Maine. 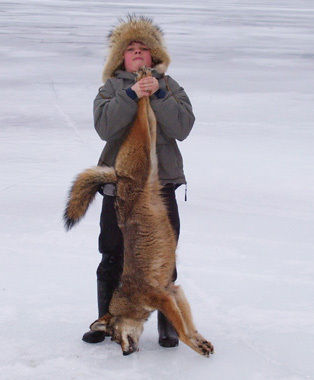 The Maine coyote population has been drastically increasing for several years. This has provided for an exciting and productive hunt. Bulldog Camps offers both day and night hunts. A coyote hunt over bait is our specialty. Coyote hunt is from Sept. 1st to Dec. 1st. Snowshoe hare have managed to adapt to all the changes over the years and continue to thrive in great numbers. Is an action packed adventure in the woods what you're looking for? A rabbit hunt at Bulldog Camps is for you. October 1st - December 1st. Met Darren from Bulldog Camp at the Harrisburg Sportsman Show in February 2007. His son, Jordan, was there as well. Had a very interesting conversation about the deer population in Pennsylvania and the impact of taking Does. 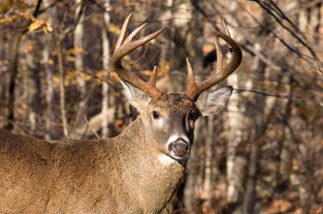 Mentioned that I have been hunting deer for the last 40 years and have taken several nice Bucks, however I was interested in hunting where there was little if any hunting pressure in the Northern woods. 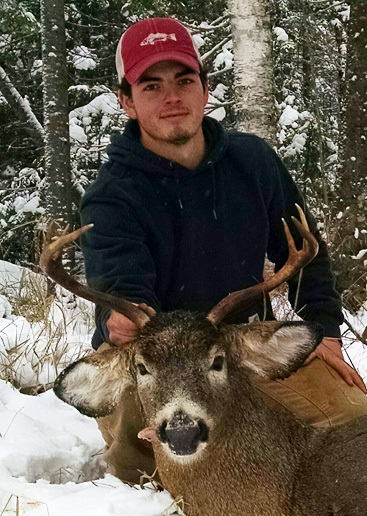 Darren said he was the owner and operator of a hunting camp near Jackman Maine. I had been to Jackman several times and somewhat familiar with the Moosehead Region. I had in the past fished in Moosehead River and the nearby Kennebec River. Darren said the deer population in ME was not as large as PA but there was some very Big Bucks in the area! He was upfront/honest and said you have to hunt for them, however the rewards of taking a Buck where well worth the trip! He mentioned the opportunity to see a few very large Bull Moose as well. In addition to the hunt, he mentioned the beautiful scenery, accommodations (cabin), hospitality, and the fine meals from the Gourmet Chef; all of the comforts of home and then some! Well I can certainly attest to this! Although I did hunt hard, luck was not with me on this trip and didn't have an opportunity to shoot that Big Maine Buck. I did however see a lot of very impressive Bull Moose and this in itself was a thrill for me! And of course there is next year. To me a successful hunt is not what you harvest but what you get out of the trip; the camaraderie, food/fine meals, accommodations, conversation and hospitality is what made this trip one of the best hunting trips of my life. Thank you again, Darren, Sierra and Jordan. Please feel free to ask Darren for my number if you are interested in additional information. I'll be glad to provide it. All of the best!" We use only the freshest ingredients for our meals. All desserts are homemade. Menu subject to change, due to availability of some items. Breakfasts are your choice each morning. We will accommodate special diets with advance notice.